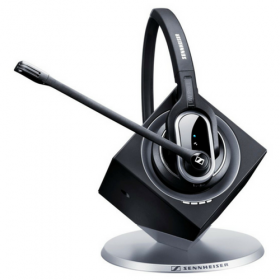 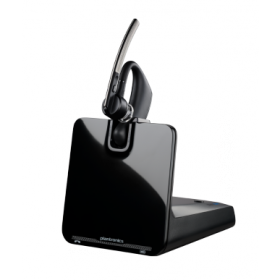 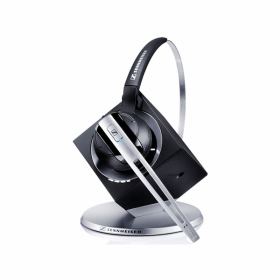 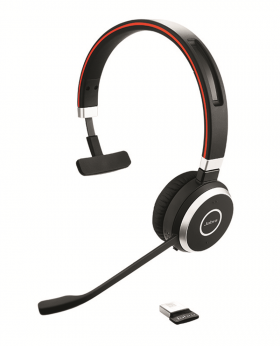 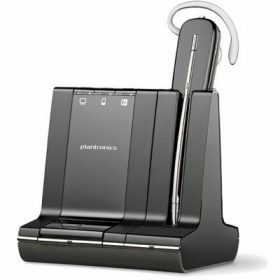 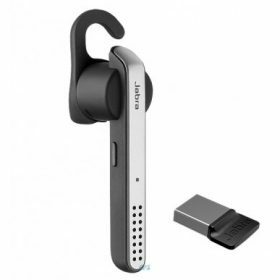 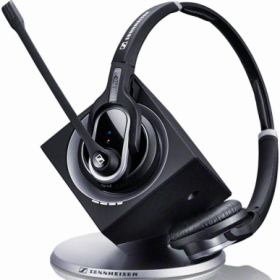 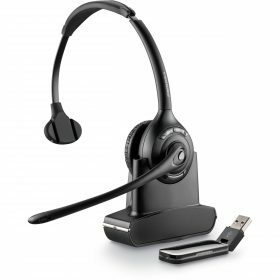 Sennheiser D10 USB ML – DECT Wireless Headset with base station for PC only. 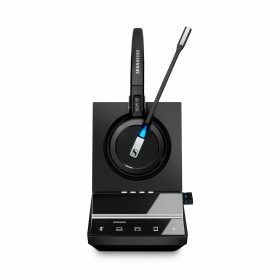 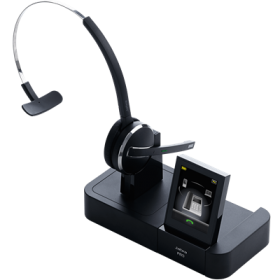 To connect to a desk phone, the Sennheiser D10 PHONE is more suitable. 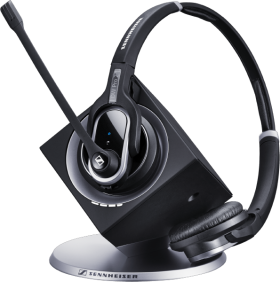 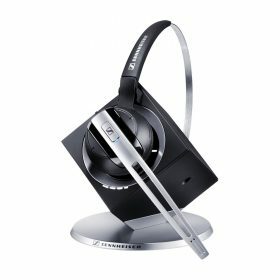 If not using Skype for Business, the standard Sennheiser D10 USB is more suitable. 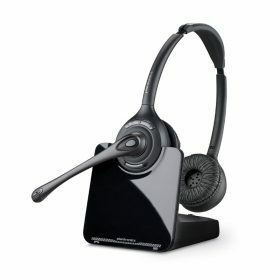 * Answer/end call requires EHS cable for desk phone. 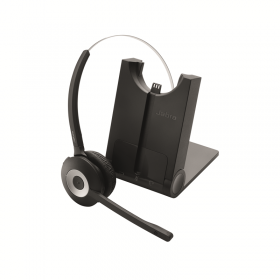 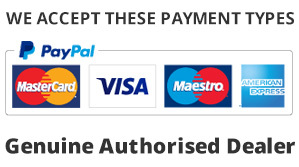 ** Neckband available as optional accessory. 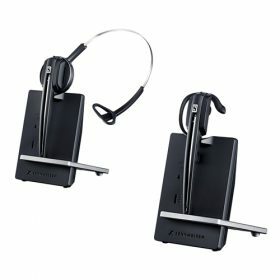 Click-on adapter from HSA 20 accessory set needed for mounting.